James Dodds is the Owner/Chairperson of Envireau Water. He is a nationally recognised expert in water management and water resources hydrogeology, particularly within the minerals, agricultural/horticultural and water bottling sectors, as well as the onshore oil and gas sector, and has a reputation for his tenacity with regulatory systems. James’ professional career started in 1986 working on waste and mineral projects in the UK, before moving to South Africa in 1988. There he spent 4 years principally working on a wide range of projects in the mining industry, related both to water resources and geotechnical hydrogeology. With the same company, James returned to the UK, and spent the following 6 years progressing to Principal level. During this time, he worked on a wide range of mining projects in Europe, Africa, CIS and the Middle East, as well as developing projects in the UK within the minerals sector. In 1998, James formed Envireau Water. James has been actively involved in the minerals sector within the UK for 20 years and has been an IQ member since 1994. James has been intimately involved with the development and implementation of the New Authorisations process both directly with the Environment Agency, with the Mineral Products Association and with individual operators. 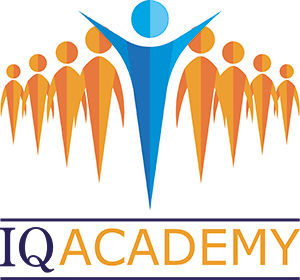 He presented the first IQ Academy webinar on this subject back in January 2018. Want to swot up ahead of our webinar? Click here to download Envireau Water’s Guide to New Authorisations – Quarry Dewatering.